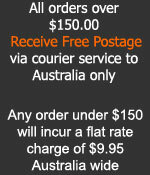 Impact Nutrition | Purest Bodybuilding supplements/Organic Greens - Diet Protein available now! 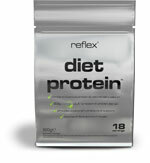 Diet Protein, the highly anticipated diet shake from Reflex Nutrition is now available to buy in Chocolate and Strawberry flavours. Banoffee flavour coming soon! Reflex Nutrition have used the latest advances in protein and weight loss technology to bring you a product that’s specifically designed to aid those interested in maintaining a healthy, well defined and toned body. Each serving of Diet Protein is packed with additional diet support. Green Tea extract is added for its role long standing reputation for aiding dieters, whilst friendly Lactospore pro-biotic bacteria provide intestinal support. Diet Protein has a very Low GI. Diet Protein contains no added sugar or maltodextrin. It’s perfect for dieters wanting to restrict their carbohydrate content. Diet Protein comes in a variety of mouthwatering flavours. All of which have been up against a taste test panel to ensure that they are the best tasting diet shakes on the market.